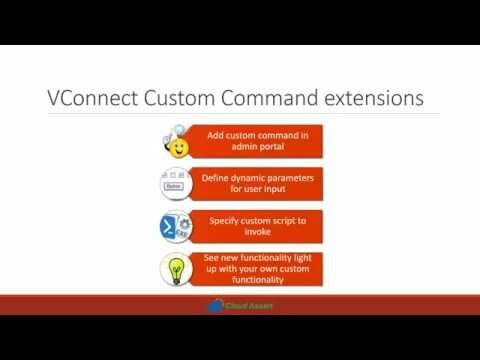 VConnect provides many ways to extend functionality and customize. Combining those with external tools like Microsoft’s System Center Orchestrator brings lot of flexibility for the Administrators, System Integrators and Power Users. 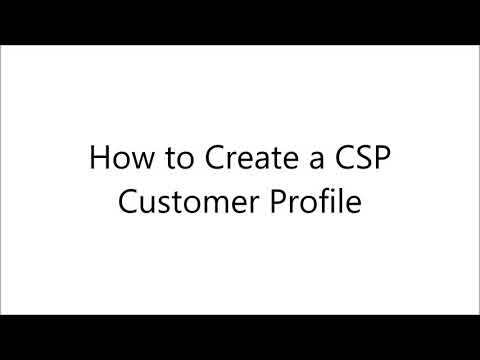 This session starts with the basic customization features and explores some of the advanced functionalities. 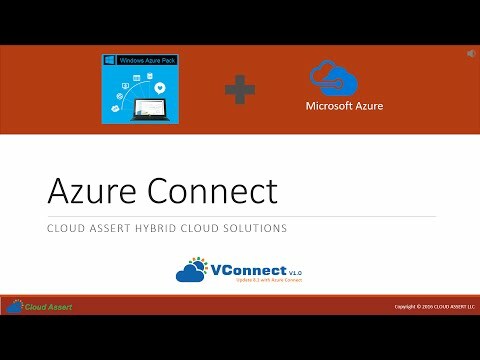 VConnect is a VMWare and Azure Pack integration solution from CLOUD ASSERT. 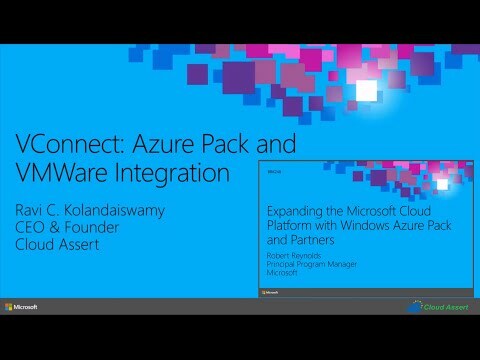 At Ignite CLOUD ASSERT CEO Ravi C Kolandaiswamy presented along with Microsoft Principal Program Manager Robert Reynolds and other partners a session on how to extend Microsoft Windows Azure Pack (a.k.a Azure Stack in future) through partner solutions. 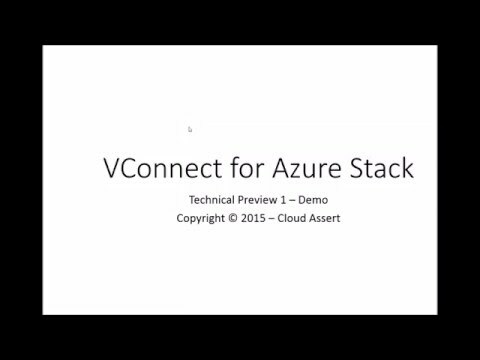 In the session on VConnect, Ravi demonstrated how easy it is to extend Azure Pack to provide first class VMWare platform support for both Administrators and end users from with in Azure Pack. Some of the cool features on extensibility like Custom Commands, Script Extensions were also shown in the demo. 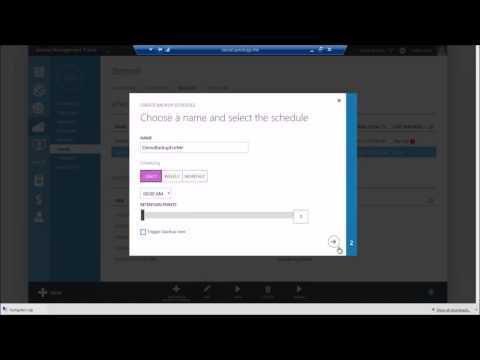 With VConnect and CLOUD ASSERT it is super easy to CUSTOMIZE, EXTEND and SIMPLIFY the entire Virtual Machine Administration, Provisioning and Management thus enabling quick self-service IT as a Service for enterprises who have existing VMWare investment and for hosters to quickly bring in VMWare resources inside Azure Pack Cloud. Note: This video has been edited to accomodate time and size. 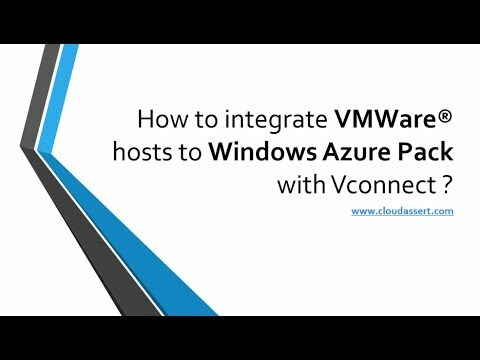 How to integrate VMWare hosts to Windows Azure Pack with VConnect? 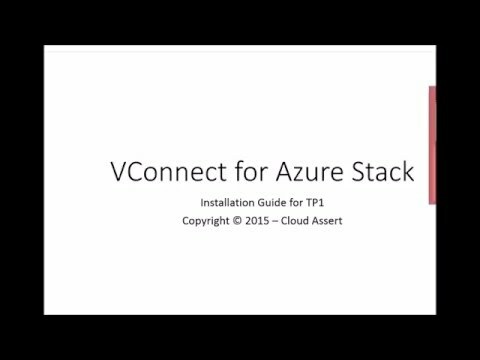 Introduction video to VConnect, an extension for Windows Azure Pack. VConnect brings in VMWare® hosts to Windows Azure Pack platform. Administrators of Windows Azure Pack can now setup plans that provides Virtual Machine services based on VMWare® hosts. This serves as a means to remove adoption blockers for hosters and enterprises who may already have VMWare based environment. VConnect helps to add more new services that comes with Windows Azure Pack, such as multi-tenant websites hosting, SQL & MySQL database services, Service Bus service etc., while still leveraging existing VMWare® setup. Contact Info@CloudAssert.Com to learn how you can take advantage of VConnect and Windows Azure Pack. Visit http://www.cloudassert.com/Products/V-Connect for latest updates on VConnect. Cross platform hybrid cloud solution for Windows Azure Pack. Unified provisioning and management experience across VMWare, System Center and Microsoft Azure with rich automation and extensibility. One investment that enables you to deliver cutting edge hybrid cloud solution with manifold cost savings starting from day one. Your end users and developers will love the flexibility and agility, while your administrators can manage everything from single place, including your organizations public cloud usage. 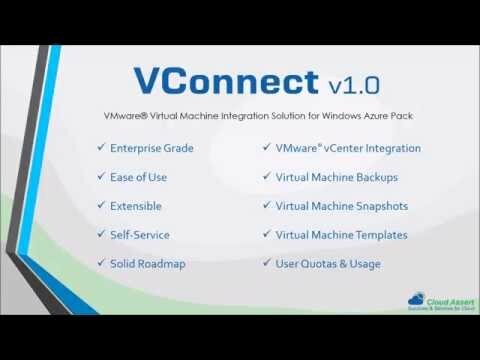 VConnect is a Virtual Machine Integration solution that integrates VMware vCenter with Microsoft Windows Azure Pack. 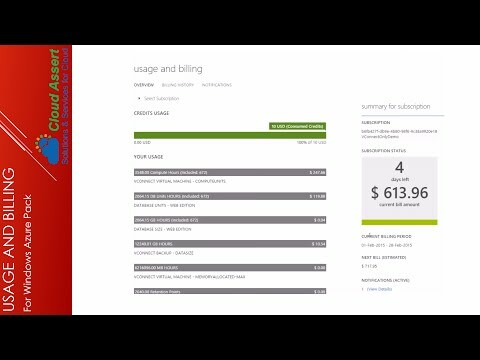 This short video gives a quick overview of the features in V1 Release.